With 700 million active monthly users, Instagram is one of the best social media platforms to grow a business, brand, or audience. But how exactly do certain Instagram accounts reach such large follower numbers? Today, we are going to let you in on some secrets that will help you grow your Instagram Account Organically. 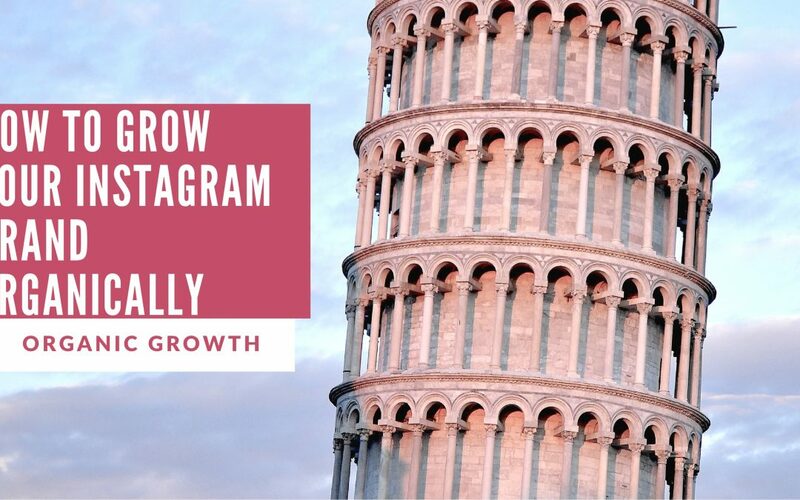 Organic Growth on Instagram can be a laborious and time consuming task, thats why we are going to give you the best 12 Organic Growth Factors for Instagram, so you can start growing your Instagram account and be one step closer to becoming an Instagram Influencer! Do you know who the Influencers are in your niche? If you don’t, then you need to. 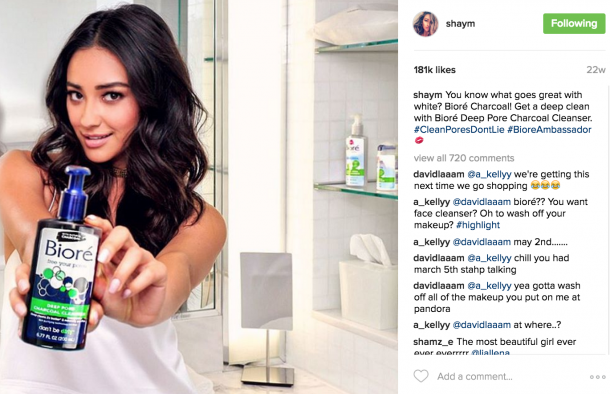 Engaging with influencers is a great tactic for increasing your contents social reach. In order to increase your chances of return engagement from these massive accounts you need to be constantly engaging with their content. Find out what time they post and create personalized comments on all their latest post. When they notice your activity on their feed and the consistency at which you do it, they will be more inclined to reciprocate the engagement. This will create a huge boost for your account in social reach! Not only will you appear on their explore page but also their followers explore page. Take some time to do the research and find out who the power players are in your niche. CTA’s in your captions are perfect for increasing engagement on posts. CTA’s can be as simple as “Save this post for future reference” or you can spark a discussion about an image. For example, “What are some of your favorite content editing apps and why?”. Personally, I believe that the discussion format is a better option for increasing engagement and personality within your feed. Creating a discussion not only increases your engagement, but in addition it allows you to gather information on your followers and their interest. This can be a huge resource for creating more compelling content that is centralized to your audience. Do you even hashtag? Branding a hashtag for your business or brand can help with your accounts organic growth. Brand Hashtags generate user created content from followers that you can showcase on your feed. Your followers will be constantly engaging with your account for the possibility of being showcased on the feed. They will use your hashtags and showcase your brand’s products on their feed, increasing your social reach and organic growth. Creating a brand hashtag and using it accordingly can create exponential organic growth and strengthen the bond within your community. This is one of my favorite factors for organic growth. Contests are a creative way to drive up competition and give back to the community you are trying so desperately to grow. The most common one that I utilize on my account @apex_pack, is Caption Contest. Caption Contest are a CTA that allow followers and users alike to create compelling captions for photos. The prize for winning is a story shoutout. Utilizing this method has given some of my photos some very creative captions that I would never have thought of. 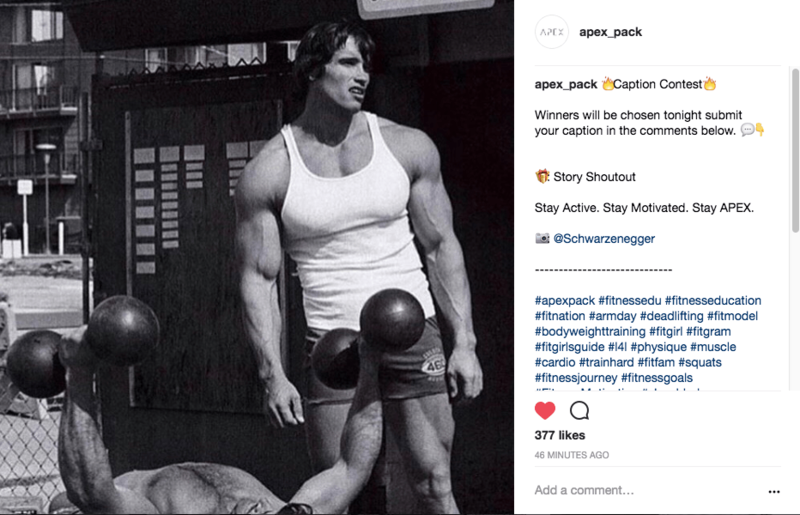 In addition, followers are driven to create the most compelling caption because they get to be showcased on a large account, allowing their personal accounts to have a boost in follower growth. It’s a symbiotic relationship, creating a win win scenario! For most marketers Instagram is not the only social media platform their business is trying to grow on. Facebook, Twitter, Youtube, Twitch and Snapchat are some major social media power houses that can boost each others organic growth. Drive traffic from these sources to your Instagram to cross pollinate followers from one platform to another. This is especially useful if you create different content across all platforms. The goal of social media marketing is to expose your audience to your brand as much as possible. What better way to do that, then having them follow all your social media accounts! S4S or “Shoutout for Shoutout” is a great way to collaborate with accounts within your niche and swap followers. For those that are not familiar, this involves two or more accounts driving traffic from their accounts to the other, in hopes to increase their follower count. There is no requirement for the number of followers an account has to have, but it is best to pick accounts with similar follower sizes, simply out of fairness. Imagine if you were a 100k+ account doing a S4S with a 10k+ account, the growth on each side would not be equal. We are halfway through the Organic Growth Factors are you feeling the gains coming. One thing many people forget about is Geo Tagging your posts. This is especially useful if your business has a permanent location that people can visit, for example if you have a gym, bakery or consulting office. Geo Tagging allows the content you post to show up for that location. So when people visit there, they can see your content and visit your profile because of the commonalities you now have. Creating an organized theme for your feed is a visual aesthetic that can really help with your accounts organic growth. When people visit your feed they should understand exactly what you are trying to convey at first glance. The last thing you want is to be all over the place with your content, leading to a discombobulated feed. Try to breakdown what you want people to take away from your account in three words or less. Then craft content tailored to those main ideas and try to stick to them the best you can. For example, when people visit my account I hope they quickly see that my feed is based around Fitness, Motivation and Health. I tailor my content accordingly to my theme and visual aesthetic. What will people take away from your feed? Will they be confused by the message your trying to send or will they quickly understand the message you are trying to get across. Instagram is a visual platform that showcases peoples talents and efforts. If you want to be the best, then you have to produce the best. This means creating high quality content. Whether it be images, videos, or information, it is imperative that you take the time to edit it to the best of your ability. Your smart device is a great resource that has thousands of content editing apps that you can utilize to touch up photos, edit videos or craft properly formatted captions. The power to produce high quality is easier than ever, so there are no excuses for posting low quality content. If you don’t have the time to edit, don’t post. Posting low quality content can actually hurt your organic growth on Instagram. One of the first things users will see when they visit your feed is your bio. Creating a bio may seem like an easy task, where you just slap up whatever comes to mind about your feed. But in actuality there is an art to it. For example, rather than using the Profile Name Space to enter your actual name, enter in those 3 theme words we talked about from organic growth factor number 8. This will increase your ranking on searches for those keywords. For instance, I use Fitness, Motivation & Health on my account so that when anyone searches for those keywords I have a better chance of being discovered. If I were to simply just use my name the volume of searches for that would be significantly less. Promoting others is a great way to connect with your community and increase your networks reach. Take your followers questions or concerns into consideration and create a post around them. Tag them in the image and ask them to share it with others. This network of sharing will ultimately increase your Instagram accounts organic growth and spread your reach across a wide range of individuals. Ever heard of power likes? Power likes involve receiving engagement from massive accounts to increase your contents social reach. The spider web network that is Instagram’s Explore Page helps spread your content like wildfire among the followers of these huge accounts. Receiving these power likes within the first 45 min of posting your content will improve your contents ability to go viral and we all know what happens when things go viral. The organic growth and social reach that is attained when content goes viral is insurmountable. If you are looking for power likes (click here) or if you can’t afford to join the power like network. Try utilizing engagement groups on the DMs of Instagram. Here groups are created to help boost engagement and the chances of going viral. 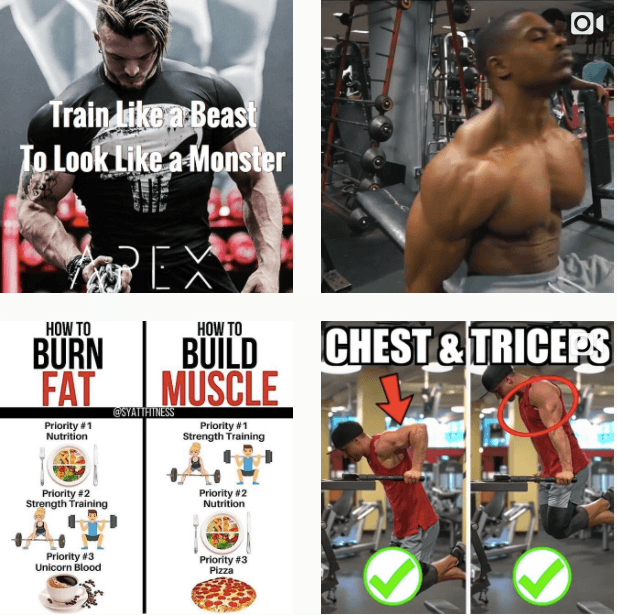 That’s it for the best 12 Organic Growth Factors on Instagram. Start using these tools and resources to your advantage to grow organically on Instagram. Having a large audience that is engaged and trusting of you is a priceless asset that can be utilized to take your business to new heights. Like this content? Check out our post on “Unlocking the Instagram Explore Page” in this we go over everything you need to go viral and reach the explore page. Very Helpful content. I shall follow the above steps. Thanks for the article.